April 1, 2014 election picks: Ponto, Mellone, Liotta, Kratoska, Vrana? Brunner? Here are my spring election picks for Mayor, District 7 Alderman, and Elmbrook School Board with links to more in-depth postings, articles, websites and endorsements. (There are other races on my ballot, but they are uncontested.) You may look up ward and preview your sample ballot at myvote.wi.gov and find your Brookfield voting location here. Remember, the polls are open from 7am to 8pm. It may feel like a moment of deja vu in Brookfield, but Steve Ponto and Jeff Speaker are again both on our April 2014 ballot. This time the tables are turned, however, with Ponto being the incumbent and Speaker the challenger. Is Steve as conservative as I am? No, but I do believe he is the better choice. He brings an air of professionalism to the office, which is a welcome change from the Jeff Speaker aw shucks days of the past. Lisa Mellone is a treasure. She has the perfect mix of brains, professionalism, grace, work ethic, and energy to do a top-notch job representing her district. Add Lisa's B.A. in Business Administration - Finance and post graduate Paralegal certificate and it is easy to see why she has a skill-set few possess. Her approach with development is particularly admirable. She meets with the neighborhoods and developers many times and manages to balance the wants and needs of each. This was not only true of the recent Underwood Crossing project (Target and Trader Joe's) but also the Moorland McDonald's, and Brookfield Marketplace (Pick 'n Save). Read through her endorsements from residents in our district and you will know why Lisa Mellone is the only choice. Here is mine: "Lisa Mellone has definitely raised the bar on what constituents expect from an alderman in District 7. She is dedicated to helping residents when they have problems and to working with neighborhoods and developers to ensure optimal outcomes on new projects. Lisa works tirelessly for us all, and I am grateful she is willing to serve another term." Come back, Lisa Mellone, District 7 needs you! I really appreciate Jeff Liotta's strong opposition to Common Core, and I agree completely that teaching to the test is one outcome of adopting the standard. Standards do drive curriculum! Jeff Liotta is a former Elmbrook graduate and School Board member, who served in the 1980s. Jim has a B.S. in Applied Mathematics and Physics, MS in Business Administration, MA in Philosophy, and has taught graduate and undergraduate courses in the Electrical Engineering and Business Schools at UW-M.
Area I: This still is a difficult choice for me. Young Zackary Vrana is running against incumbent Richard Brunner (senior citizen). Both are opposed to Common Core--Vrana adamantly so, which I like; Brunner it seems in general principle. But Vrana is also emphatically for 4K; Brunner again supports 4K in general principle. Vrana would offer a unique perspective on the board, in that he graduated from Brookfield East in 2012 and will graduate from Marquette in 2015. Hope this was of some help to you. If I learn anything new, I will try to post it Monday night. 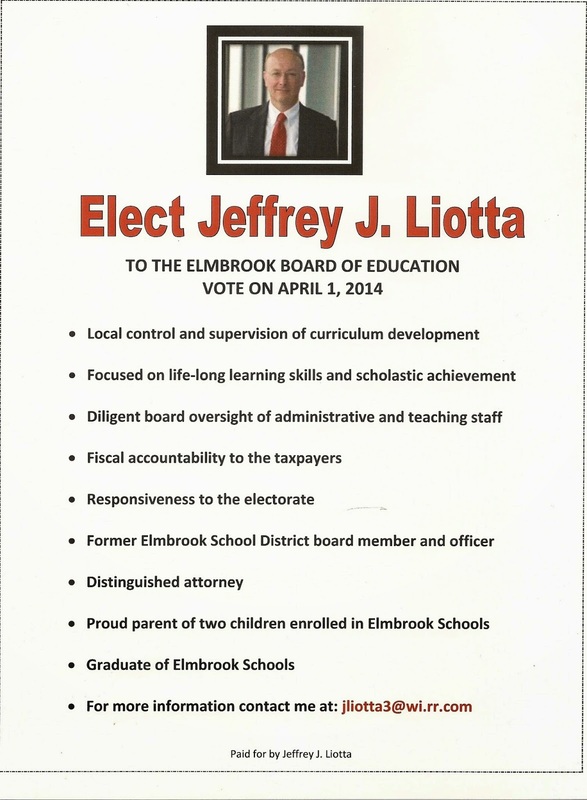 "I urge you to elect Jeffrey Liotta to the Elmbrook Schools' Board of Education representing Area III on April 1st. I believe that now - more than ever - we need a candidate who is dedicated to local control of education. Jeff Liotta is that candidate. We need a candidate who will resist pressures from the State Superintendent to impose on our students programs devised by Washington lobbyists and politicians. Jeff Liotta is that candidate. We need a candidate who will protect our right as a community to determine what standards our children should aspire to, and how we will measure their success. Jeff Liotta is that candidate. We need a candidate who will ensure diligent oversight of curriculum development, and fiscal responsibility to taxpayers. Jeff Liotta is that candidate. Finally, we need a candidate who possess a clear understanding of the legal obligations a school board member has as an elected representative. Jeff Liotta is that candidate. "Please elect Jeffrey Liotta on April 1st. "For more information, contact Jeff at jliotta3@wi.rr.com"
When you vote on April 1 this election cycle, you have a choice in each of the Elmbrook School Board races. For the Area III and the At-Large race, whether you support Federal Common Core curriculum standards or not might be your deciding factor. Common Core has been increasingly in the news. I believe it is not just the latest flavor of education reform but a new form of Federal government overreach. Last month, the Germantown School District opposed adopting Common Core standards and instead, will set their own, higher ones. Liotta: "Quite frankly, I look at the big picture. I reject the philosophy that is behind the Common Core. I think local boards of education are better suited to determine the standard for their individual communities, and I disagree with the concept that curriculum is separate from standards. I guarantee you that if testing is involved (with Common Core standards), it's going to drive the curriculum and staff, despite what we say, will teach to the test. Elmbrook has a 50-year history of excellence in education. We've done it right. Why would we abdicate our right and authority to determine our destiny and to determine the standards that we want our students to achieve?" Gehl: " In Elmbrook, this community and this board has demonstrated our commitment to local control and will maintain that commitment. I believe there have been many good things happening the last two years with our curriculum and content than ever before in our district. The Common Core standards focus on skills...and can be used as a reference. They do not prescribe or demand particular content — that will be determined by the local board and administration — but in many areas, they represent a higher bar than what was in place before." Kratoska: "My principle objection is with the ‘common’ part of the core. Synonyms for common include ordinary, commonplace, and regular. Elmbrook district residents expect a much higher level of education. "...Two members of the original CC standards review board, stated before the Wisconsin legislature, that the CC standards would set the average student back 2 years by the time they finished high school." While I realize Common Core is the standard, and it is the curriculum that is the bigger problem (often written with a humanist, liberal slant), I still do not believe any Federal program is benign. Ask yourself, what Federal program has not grown in size and scope to exceed its original grasp? (As I am still working on my income taxes, I can't help but think how that has ballooned into something completely unmanageable! Social Security is another Federal program that initially had a more limited scope. Today, it has expanded to cover far more recipients than just retirees.) I want less Federal intrusion into my life, not more. Vrana: "I don't believe the Common Core was written for Elmbrook. We are not a district that strives to meet minimum standards. We should be leading and setting the bar for excellence in the state. My issues with the way we've implemented Common Core are the choices we made with the curriculum, such as taking Speech out of the required English curriculum. I think that's a great disservice to our students. Common Core is great to ensure districts meet the minimums, but we should be providing the best education for our students." Brunner: "I've read a number of Common Core analyses in the last several weeks...and every time I read one, I think I change my mind. As far as Elmbrook is concerned, I do not believe we need to implement this program. I understand we do already have it, but I don't think it's necessary for the school district. I think we can (set standards) very well on our own." I believe Vrana is spot-on here with Common Core; Brunner is less emphatic. But their stance on 4K makes me lean to Brunner over Vrana, Vrana cheer-leading for 4K--even calling it day care, which it is; Brunner is just supportive. Vrana: "I absolutely support a 4K program. I believe district parents need day care for their 4-year-old children, and it is time for us to provide for that...."
Brunner: "I think the district could benefit from a 4K program. We would, in effect, have a complete school system where the kids could start at four years old and go on through to high school. It's an incentive for people to move into the city ..."
So, Area I is a tossup for me. Brookfield and Elm Grove go to the polls on Tuesday, April 1, 2014. You can find your ward and preview a sample ballot at myvote.wi.gov All Elmbrook School District voters vote for all of the School Board candidates, regardless of what area of the district you live in. I will be posting a final election pick post on Sunday or Monday. Two term Alderman Lisa Mellone is up for reelection this spring, and I am enthusiastically casting my ballot for her on April 1st. She is an exemplary Alderman. Surprisingly, she has an opponent this year--and not District 7's usual challenger. This year, Kris Seals from the northeast corner of our district threw his hat in the ring. But what do we know about him? Not much. There was the Brookfieldnow article, but that didn't really tell me much about the man. The article didn't mention anything about higher education, such as a Bachelors or Associate degree. Nothing about whether he was single, married, or had a family was referenced, just that he lived here since 1969. The article did state he had worked with the Brookfield Chamber of Commerce in the past but was now with the Wauwatosa Chamber of Commerce. The reporter did state that Lisa Mellone was a litigation paralegal at Ratzel and Associates (located in Brookfield) but failed to mention that in addition to obtaining her Post Graduate Paralegal Certificate, she also had a B.A. in Business Administration - Finance from UWM. In the article, she voices her concern over a future project area, "Looking ahead, Mellone said, those representing the district will have to keep a close eye on development, with one in particular coming up. Briscoe Development and Management is proposing a 13,000-square-foot retail center at Moorland Road and Hackberry Lane, the site of a former city fire station." I mention this section on development from the article because when I received Kris Seals' flyer this week, portions of it were oddly familiar. First of all, he again tells us nothing about himself personally--nothing about family, education, civic involvement in Brookfield, not even his address. Then I noticed he had several sentences in quotes that were his own. He quotes himself in his own flyer! Actually, they were lifted in part from the Brookfieldnow article. (I don't know why he used quotes, since they were his own words.) But that isn't the only thing he lifted. Refer the above section on development (in bold above) from the article. And then read what he wrote in his flyer. (The words from the article are in bold) : "Representing the district I will have to keep a close eye on development, with one in particular coming up. Briscoe Development and Management is proposing a 13,000 square foot retail center at Moorland Road and Hackberry Lane, the site of a former city fire station." Sound familiar? He lifted the paragraph from the article, eliminated the words, "Looking ahead, Mellone said, those" and started his own paragraph with "Representing the district" and added " I ", as if these were his thoughts. By stating, "Representing the district", his re-crafting of this section also makes it seem as if he already is our alderman. He repeats that theme with his invitation to contact him with concerns in his closing, "I am here to serve the 7th district and its fine citizens." and gives a phone number and email address. He did not state, if I am elected, but rather as if he is already on the job. In my opinion, when a candidate takes so little care to read the sign ordinances (or comply with what they say), it indicates carelessness. When a candidate cannot bother to create an original, factual flyer about their candidacy, it indicates a sloppy, haphazard approach to the office. But plagiarizing in a flyer by using your opponents words as your own? That is truly low. Is this the type of alderman we want in the 7th District? I say no. In contrast, this is what I recently wrote about Lisa Mellone on her website, "Lisa Mellone has definitely raised the bar on what constituents expect from an alderman in District 7. She is dedicated to helping residents when they have problems and to working with neighborhoods and developers to ensure optimal outcomes on new projects. Lisa works tirelessly for us all, and I am grateful she is willing to serve another term." So did you figure out what was wrong with that picture yet? 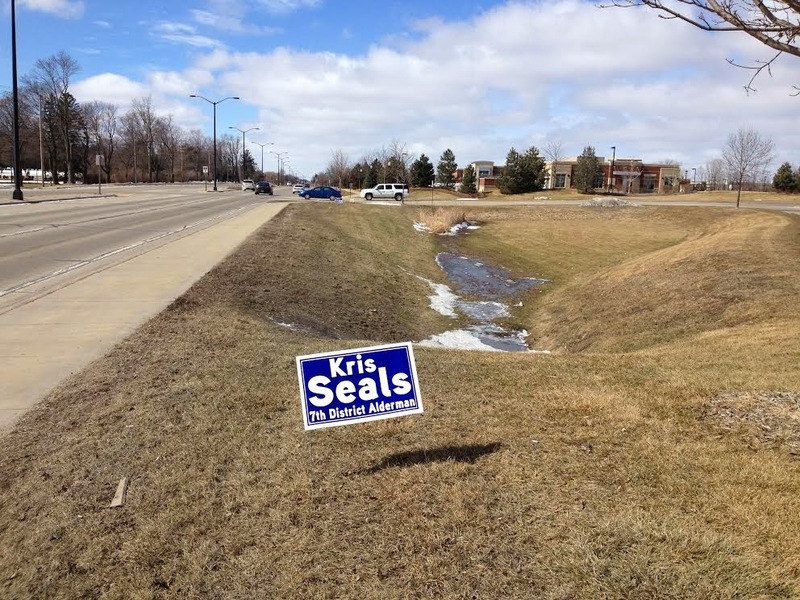 The sign was placed on the city right of way in front of Brookfield Marketplace shopping center on Greenfield Ave. Election signs are not permitted on the R.O.W. or parkland, medians, etc. Candidates must also ask a business or homeowner for permission to place a sign on their property. This second photo is of a homeowner who asked for a Mellone sign (green arrow) for in front of their property. They were not pleased with the challenger's sign (red circle) so close to their property! (Sorry it is so dark.) The Challenger's sign is illegally placed on the city sidewalk connects a closed off street with the Greenfield Ave. sidewalk. Of course, garnering supporters who want a sign or stopping to ask a business or homeowner for permission takes time and effort. Illegally dotting the right of ways in front of offices or shopping centers with campaign signs is the lazy man's way of campaigning. Sometimes, as in the case with Seals last week, the business takes down the signs as they did on Sunny Slope Bishop's Woods complex. I should be posting Brookfield and Elmbrook School Board election picks this weekend. "Jim Kratoska has registered as a write-in candidate for the Elmbrook School Board at-large seat. [He is running against Kathryn Wilson, who is unopposed on ballot] Our concerns about Common Core have fallen on deaf ears. People choose Elmbrook Schools for their excellence. Why would we settle for commonality? "Jim is a 40-year resident of Brookfield whose two children were educated in the Elmbrook system. His business experience includes project management, team building, financial management and six-sigma process improvement, which will all add to the success of the Elmbrook School District. His degrees include bachelor's degrees in applied mathematics and physics, and master's degrees in business administration and philosophy. "Common Core, which has been silently integrated into schools across the nation is finally coming under scrutiny: When fully implemented, local school boards will have no oversight in curriculum. The Common Core standards are copyrighted. Our kids will be monitored and tracked from childhood into the workforce. Jim will be your eyes and ears on the school board, working to combat Common Core locally and statewide. "Jim Kratoska has the experience and background to maintain excellence in Elmbrook. The "one size fits all" standard of Common Core doesn't suit the individuality of our students. Jim joins the two school bard challengers who are oppose to Common Core. On the ballot, write in Jim Kratoska. Complete the Arrow on April. 1." *This letter was sent to me by Laurel Mellone, one of the signers. Did you know that many discoveries and theories promoted by proponents of Charles Darwin’s theory of evolution were in error and have since been disproven? Or that there are problems with the theory that the earth is billions of years old? We don’t often hear about flawed evolutionary theories and certainly not about fraudulent or forged artifacts. 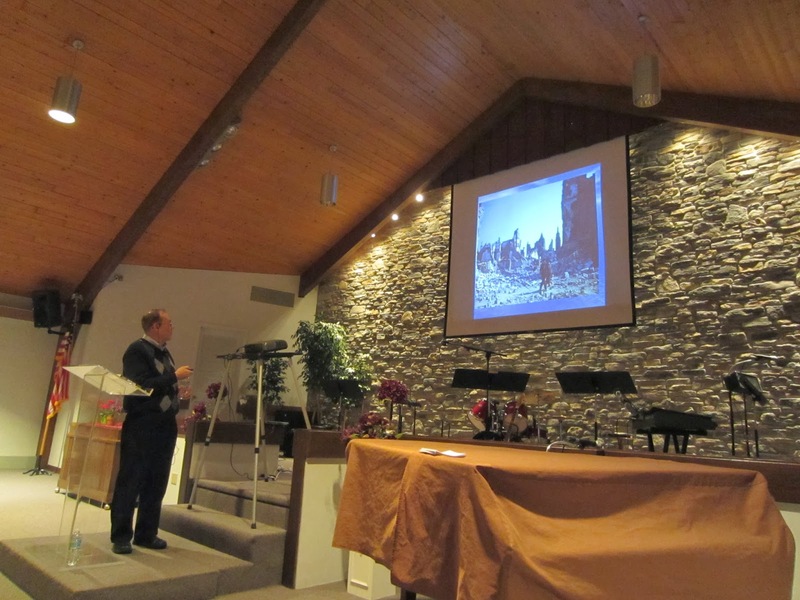 But this is the subject of renowned creation scientist Dr. Jerry Bergman’s presentation to the Creation Science Society of Milwaukee this month. His talks: "Darwinism's Blunders, Frauds, and Forgeries" and "The Problem With Billions of Years and the Bible" are slated for 6:30 p.m. on Tuesday, March 11, at Brookfield Lutheran Church, 18500 W. Burleigh Rd., Brookfield, WI. The presentation is free and open to the public. Creation Science Literature and DVDs available. Dr. Bergman has taught biology, genetics, chemistry, biochemistry, anthropology, geology, and microbiology at Northwest State College in Archbold, Ohio, for over 25 years. He has also taught at the Medical College of Ohio, the University of Toledo, and Bowling Green State University. He has nine degrees, seven of them graduate or post-graduate, from such schools as the Medical College of Ohio, Wayne State University in Detroit, The University of Toledo, and Bowling Green State University. He has over 800 publications appearing in 12 languages, as well as 20 books and monographs on topics ranging from mental health and religious discrimination to vestigial organs, psychology and religious cults. He has also contributed to dozens of textbooks and has presented over 100 scientific papers in the U.S., Canada, and Europe. Jerry Bergman will be Jim Schneider's guest on In Focus, Monday, March 10, 2014, from 7p.m. - 8 p.m. 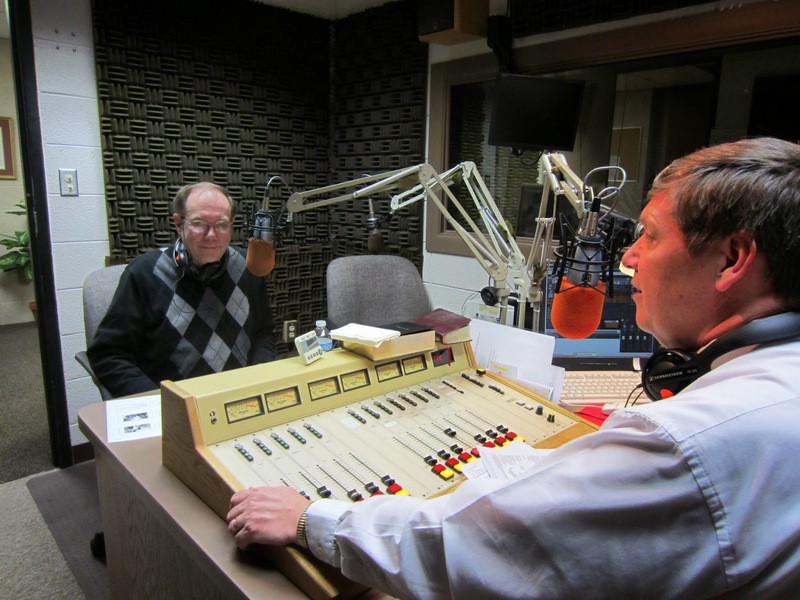 In Focus is a live, TV call-in talk program on WVCY-TV30 in Milwaukee. 3. Darwinism is the Universal Acid that Destroys Everything (out soon). Check out his other titles. Future Creation Science Events: Tuesday, April 8, 2014, Jerry Frye presents: "Denying the Creator: Professing To Be Wise, They Became Fools"